Organic food is the new buzz in the food and health industry. Organic food refers to the food produced without the use of chemical fertilizers, pesticides, animal antibiotics, etc. With growing awareness about the harmful effects of using pesticides, chemicals, etc in agriculture, demand for organic food products has increased. Keeping in view this increasing demand for organic food products and the many benefits of organic food, Siddhagiri’s Satvyk, a startup in Kholapur, Maharashtra, has come up with a wide range of organic food products, produced using organic techniques and processed using classical healthy methods. Siddhagiri's Satvyk was founded in 2016 by Akshay Agarwal. According to Akshay, Siddhagiri's Satvyk is more than just organic food, it is a completely healthy lifestyle. It strives to bring to its patrons an organic lifestyle and make the lives easier and healthier. Going organic or growing organic demands a lot of diligence and patience. At Satvyk, we strive to develop and nurture the most transparent direct-from-source food supply systems. In the process, we are constantly working on building a sustainable livelihood for Satvyk Farmers & Producers and giving back to the Mother Earth! Siddhagiri's Satvyk aims at creating a robust value chain from farmer to customer creating a sustainable and secure food system. The company’s vision is to create a sense of purpose which is larger, greener and more sustainable. According to APEDA (Agricultural and Processed Food Products Export India) India exported organic food products worth $515 million in the financial year 2017-2018. Major demanding organic food products are: oilseeds, cereals and millets, sugar, fruit juice, etc The organic products market in India has been growing at a CAGR of 25 percent and it is expected to touch INR 10,000 - 12,000 crore by 2020 from the current market size of INR 4,000 crores, according to a report produced jointly by Assocham and Ernst & Young. 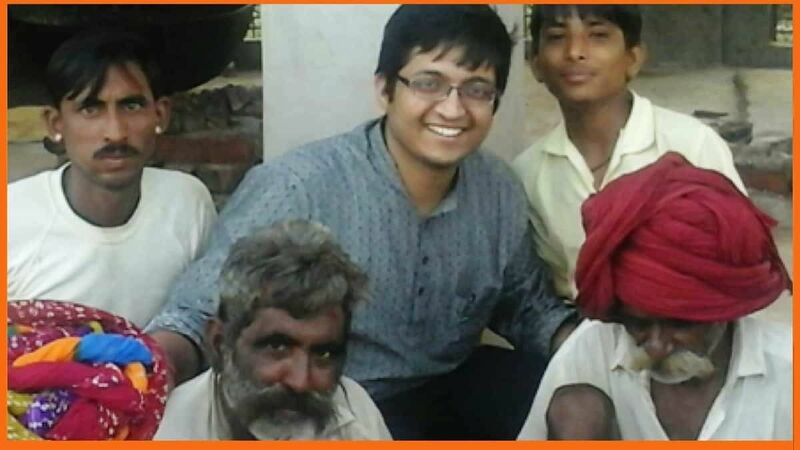 Akshay Agarwal and Gajendra Choudhary are the founders of Siddhagiri's Satvyk. Akshay Agarwal is a CA and CFA by qualification. Prior to starting Siddhagiri's Satvyk, he was working as an Investment Analyst with Edelweiss ARC. Gajendra Choudhary is a commerce graduate and he was into a well-established textile business prior to starting Siddhagiri's Satvyk. Akshay always wanted to do something which leaves a positive impact on society. Once he got an opportunity to volunteer in an event named Bhartiya Sanskriti Utsav in Kolhapur at Siddhagiri Gurukul Foundation, which focused on Ancient Indian Culture and Techniques. This event made him realize the richness of Indian culture. He understood how the age-old Indian techniques of Farming, Ayurveda, Construction, Management, Food Science, Education, etc were practical and scientific. Akshay was especially drawn to topics like food science and organic farming. Akshay wanted to gather more knowledge on farming, so he started researching about the topics on organic farming, meeting various experts in the field, conducting farm visits, attending organic farming sessions during weekends and holidays and after work. The research was an eye-opener for Akshay. He got to know about the various chemicals like oxytocin and Sulfaz which are used for agriculture which may have serious side-effects on health. Akshay was determined to make a change to this scenario. He continued researching for almost 10 months and then in February 2016, Akshay Agarwal launched Satvyk. Satvyk’s first outlet was launched in Kholapur with over 100 products on board. Gajendra Choudhary, Akshay’s bench buddy from school got himself so connected with the concept and was more than willing to be part of the Satvyk Journey. Leaving behind a textile business, well-established for 30 years, set up by his father, Gajendra joined Satvyk. Shree Adrushya Kadasiddheshwar Swamiji, The Head of Kaneri Math, Kolhapur, suggested the name Siddhagiri’s Satvyk. Siddhagiri means the Land of the Wise Men representing our farmers and Satvyk represents pure and unadulterated. Siddhagiri’s Satvyk’s tag line is- The Health re-Store. Siddhagiri's Satvyk caters its customers with 100% organic food products. Satvyk deals in Groceries, Spices, Oils, Ghee, Salt and Sweeteners, Beverages, Personal care, health foods like Chyawanprash, etc. The USP of Satvyk products is that all products are organic. Satvyk provides farmers with organic seeds and full-time assistance for farming activities. Once the produce is harvested, the same is acquired on entirety and cleaned, graded and packed by Satvyk and are made available to the customers. Satvyk is connected with more than 8000 organic farmers across the country. Despite having 100% organic produce, farmers from extreme rural parts of India do not have any marketplace to sell their produce. Siddhagiri's Satvyk is connecting such farmers to the customers directly, thus ensuring direct-from-source supply of organic produce. Satvyk has also created a marketplace on its website wherein farmers across the country can list their organic produce online and sell to the consumers, thus creating a direct-from-source organic supply system. Farmers from various states like Rajasthan, Uttar Pradesh, Karnataka, Tamil Nadu, Assam, West Bengal and many more across India are an indispensable part of Satvyk family. All the assistance required for farmers to cultivate healthy and organic produce is provided by Satvyk. Authentic organic Indian seeds are made available to the farmers, to ensure production of good quality products. Our Agricultural Experts are at constant beck and call to provide any assistance required to our Farmers. They frequently visit their Farmlands and ensure that the product is healthy. On harvesting of products, the entire production is acquired by Satvyk and is processed. Organic produce is cleaned, graded and packed and is readied for sale. In order to make Organic products easily available, Satvyk has its own outlets in few cities along with its own website which caters to customers all over the country. Customers from any place in India can place their order on Satvyk's website 'www.satvyk.com' and get their good & healthy food delivered at their doorstep. This is the B2C model, which consists of a major chunk of Satvyk’s business. To ensure higher awareness among people about organic lifestyle, Satvyk has also started B2B model in the forms of franchisee outlets and online availability of Satvyk products with major E-Commerce websites. Shiddhagiris’s Satvyk is a bootstrapped venture and so the company did not spend heavily on hoardings or paper ads. It started participating in the exhibitions in and around Maharashtra and Satvyk was able to make a profit from the sale of its products at the stalls. Thus, Satvyk was able to reach thousands of enthusiastic customers. The company also organized shopping festivals to attract customers. Shiddhagiri’s Satvyk set up franchisee networks with an aim to reach out to a larger customer base. 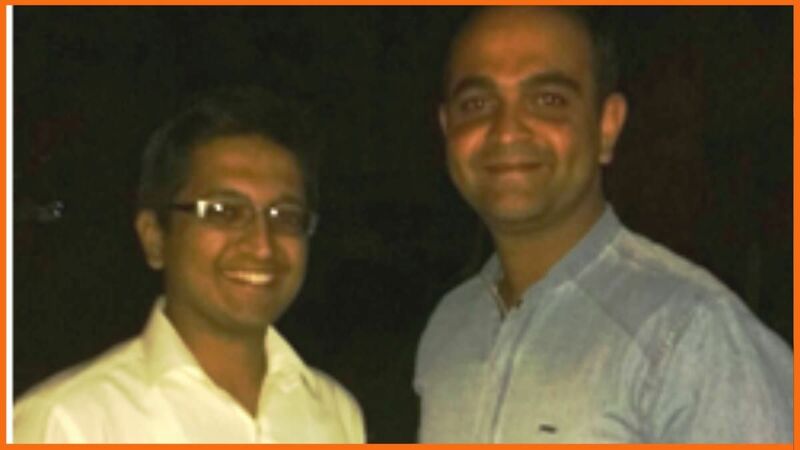 The first franchisee of Satvyk was set up in Hubli. Now Satvyk has 7 Franchise outlet and also have distribution in metros like Chennai and Mumbai. Siddhagiri's Satvyk is currently bootstarpped. Akshay and Gajendra both came from separate backgrounds so staring Satvyk was quite challenging for them. A lot of issues cropped up in the initial days of Satvyk’s launch. The foremost of them all was the higher pricing of organic produce, higher transportation costs, insects attack on the grains, inexperience, labor issues, etc. The journey was definitely supposed to be a challenging one, but we were all set. This was surely out of our comfort zone, but that is where the beauty of life lies. We kept patience. Discussed with various people regarding the issues. We find ourselves very fortunate to have found some wonderful friends in the field who would find out time just to help us. Satvyk introduced nitrogen flushing in the grains and stored the bulk in hermetic bags to prevent insects attack. It made deals with local transporters to reduce transportation cost. Satvyk also offered its farmers buyback guarantee and increased its procurement to reduce the raw material costs. Currently, there are many companies selling organic goods in India. Some of the competitors of Shiddhagiri’s Satvyk are Organic India, farm2kitchen, 24 Mantra Organic, etc. Our compettion is with ourself and we are putting efforts to make our products and services better and better. It has distribution in metros like Chennai and Mumbai and is receiving distribution and franchisee requests almost daily. The company ships products nation-wide and have loyal customers all across the country. Its product portfolio is increasing. From 100 products initially, the company now deals in more than 150 products. 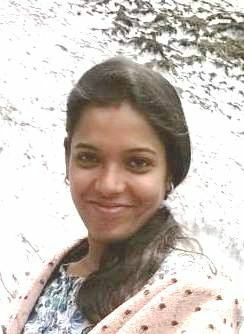 Satvyk is being noticed and is appreciated for the ancient processing techniques which it apply such as wood-pressing oils, stone-grinding the flours and pulses, preparation of desi cow ghee as per Charaka Samhita, etc. A message you receive from a customer saying that his wife is suffering from cancer and needed real honey to help her tongue feel better which have been all scratched due to heavy dosages of chemotherapy which he found at Satvyk is what makes your day. Or a call you receive from a Kerala family staying in Mumbai informing that the coconut oil we received from Satvyk has been the same we used to eat 30 years ago in our village makes you feel proud. Shree Adrushya Kadasiddheshwar Swamiji- The Head of Siddhagiri Math, Kaneri, Kolhapur is the guiding light behind Satvyk. He has established a great connect with farmers and farmers’ communities all across the Country, thanks to his in-depth knowledge of the field. He is a knowledge-library in terms of Indian Culture. He is the One behind creating one of the best Museum across the continent which is based on Indian Village Life. CA Abhishek Zaware- A qualified Chartered Accountant, he runs Ekatvam Academy, one of the premium institutions for CA Coaching in Pune. He has always played a great role in helping the organization devise strategies in relation to marketing and finance. Akshay has been his student while pursuing his studies and has been under his guidance since then. Satvyk's future plans include increasing its reach to different parts of the country by opening new outlets and through franchise stores. Satvyk also plans to launch an app through which new farmers can connect with Satvyk for selling their organic products in bulk.